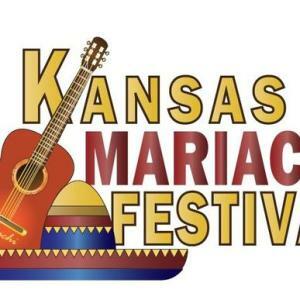 Two noted Mariachi bands from Texas will take the Topeka Performing Arts Center stage that evening: Mariachi Corazon de San Antonio and Mariachi Aguilas de America from Dallas. Tickets to the concert are just $15 each. After the concert, enjoy a Taste of Mexico beverage garden on 8th Street. The garden will offer a variety of Mexican alcohol, in exchange for tickets. Live music will be provided by local Mariachi Girasol and Rhythm of Oakland. Five tickets can be purchased for $20, and tickets may be shared. ID is required. Mana de Topeka will present its annual awards between the two performances. Organized by Visit Topeka, the Kansas Mariachi Festival celebrates the influence of Mexican and other Latino cultures on Topeka and Kansas. Mariachi music began in Western Mexico in the 1800s. Festival partners include Cortez Transportation and Standard Beverage and CoreFirst Bank & Trust. Vendors will be inside TPAC before the show and food sales will be available near the Taste of Mexico garden after the performance. The festival is held Sept. 16 to commemorate Mexican independence. September 16, 1810 is the day Mexico declared its independence from Spain. That independence was won in September 1821. During their visit to Topeka, the Mariachi bands also are working with Topeka Public Schools students and educators. In addition to a workshop, there will be a free performance for students. Find more information online at http://www.VisitTopeka.com/Mariachi. Tickets: $15 ticket if purchased from the Box Office, Monday-Friday, 11 a.m. to 6 p.m. Tickets purchased through Ticketmaster also have a processing fee. Taste of Mexico Garden is $20 for five tickets, at the gate only.